GPS and other Global Navigation Satellite Systems (GNSS) are used in everything from cellular communication networks, to basic consumer goods, high-end military systems, and stock trading inputs. 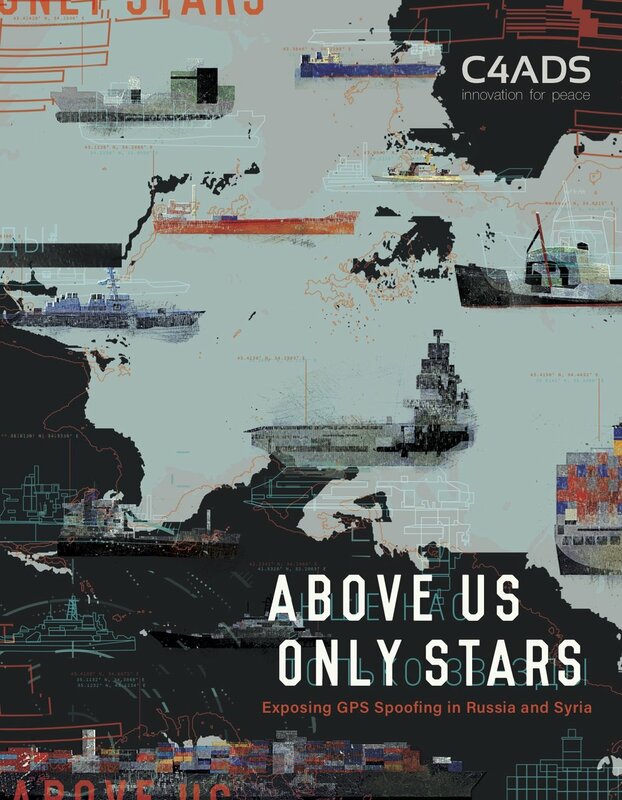 But these systems are vulnerable: by attacking positioning, navigational, and timing (PNT) data through electronic warfare (EW) capabilities, state and non-state actors can cause significant damage to modern militaries, major economies, and everyday consumers alike. With recent technological advances, the tools and methodologies for conducting this interference are now at a high risk for proliferation. GNSS attacks are emerging as a viable, disruptive strategic threat. In the spring of 2016, as the Russian-domiciled First Czech Russian Bank (FCRB) approached insolvency, staff worked feverishly to erase ledgers, destroy documents, and conceal evidence of the bank’s activity over the previous 9 years. These documents, had they survived, would have revealed the details of a litany of questionable activities: financial support for Iran; use of the bank as a vehicle for money laundering by corrupt elites on a massive scale through the Russian Laudromat, a money laundering scheme identified by Organized Crime and Corruption Reporting Project (OCCRP); support for sanctioned organized crime figures; and most alarming of all, Russian state-sanctioned interference in the Western political system in the form of a 9.4 million euro loan to the National Front, a far-right French political party. In Plane Sight examines wildlife trafficking through the air transport sector by analyzing nine years' worth of open source seizure information, and is intended to provide an update on wildlife trafficking activity in airports since last year's Flying Under the Radar. Over the past year, C4ADS analysts have continued to collect ivory, rhino horn, reptile, and bird seizures, and have developed three new datasets covering pangolin, marine products, and mammal seizures. In general, the report finds wildlife trafficking activity to be truly global in scope, and increasingly so, as trafficking networks continue to seek out new source regions and demand markets for their illicit products. North Korean overseas forced labor is both a proliferation finance and a human rights issue. The Kim regime sends citizens to work abroad under heavy surveillance, confiscates their wages, and uses the funds to support a nuclear program and domestic economy dependent on foreign currency. Previous research on the topic has relied heavily on anecdotal reporting and focused principally on either human rights abuses or workers in low-skilled occupations. Few reports have considered high-skilled labor in the context of North Korea's labor export program, and while some investigations have connected individual labor operations to North Korea's broader illicit portfolio, no previous studies have attempted to do so at scale across multiple industries and jurisdictions. This report extends our proven methodologies for tracking North Korea's proliferation networks to the financial relationships of people and companies that facilitate its labor export program. In this report, we examine seven individuals and organizations, their associated corporate networks, and their real estate holdings. We identify 44 properties worth approximately $28.2 million directly associated with sanctioned individuals, as well as 37 properties worth approximately $78.8 million within their expanded networks. Each of these people has been sanctioned by the United States (US), and many have also been designated by the European Union (EU) and EU members states. These networks are, therefore, deserving of particularly intense regulatory scrutiny. However, our research reveals that they have invested million of dollars in luxury UAE real estate while continuing to engage in illicit activity with the last few years. Over the last decade, China has significantly increase its global investments, particularly in international and maritime infrastructure. Chinese firms have pledged billions of dollars to develop maritime ports and related projects across the Indo-Pacific Region since China announced its strategy to increase global trade connectivity through the Belt and Road Initiative (BRI). The BRI, China's guiding foreign policy doctrine and one of the most ambitious economic initiatives in modern history, is portrayed by Chinese leaders as creating win-win economic development for all nations. Yet, some states questions whether China's infrastructure investments are driven by strategic interests. 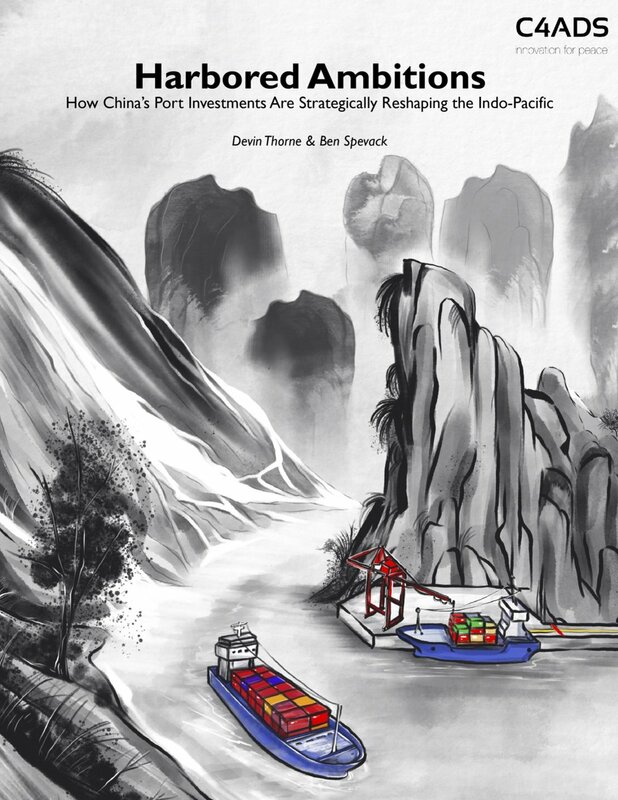 This report evaluates China's maritime infrastructure investment goals in the Indo-Pacific within the context of both policy from official documents and analyses from state- and Communist Party-affiliated publications. Recent United Nations Security Council resolutions 2371 and 2375 and United States Executive Order 13810 have dramatically increased restrictions on North Korean overseas economic activity. Though North Korea has employed an array of overseas networks to counter international sanctions, the need to adapt had fundamentally changed the regime's international economic exposure. Today, the regime is dependent on the flow of hard currency to function. Maintaining this access and evading sanctions have required the regime's foreign exchange banks to offshore critical financial infrastructure overseas. The resulting illicit overseas networks play a vital role as proxies for the North Korean banking and foreign exchange systems. However, being integrated into the international systems of banking, commerce, and logistics leaves these networks exposed to international law enforcement actions. Once essential to the economy of the Gulf of California in Mexico, the totoaba fish has suffered a precipitous decline over the past century due to overfishing. 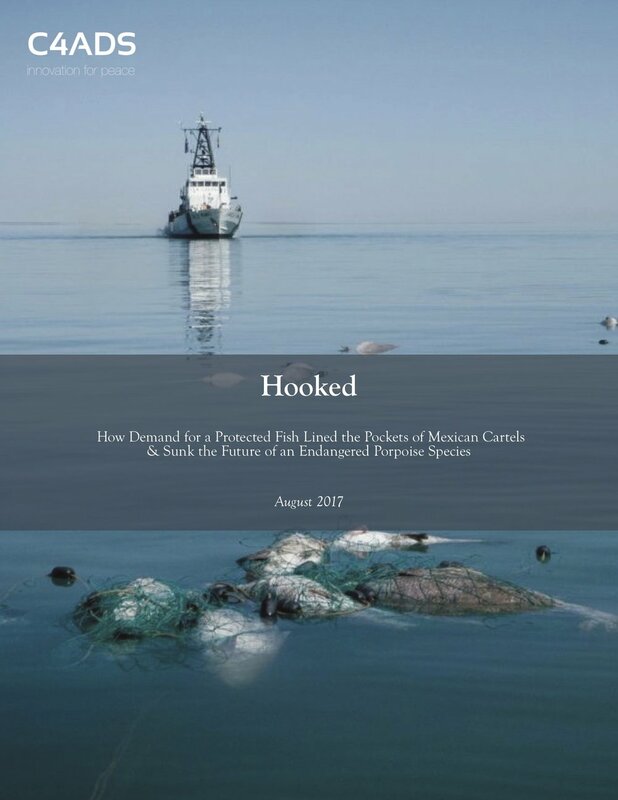 The problem reached its zenith in the 1970s, resulting in a ban on totoaba fishing, and the species' receipt of the highest levels of protection under Mexican, U.S., and international law. After a few decades of comparative calm, the totoaba is under attack once again. Illegal fishermen hoping to amass a few kilograms of the totoaba's famed bladders--potentially earning them over a year's salary in a single night--are destabilizing the remaining totoaba population. But the totoaba's high value signals trouble for more than just the continued viability of the species; the nets used to catch them, called gillnets, are devastating marine life in the Gulf. One species in particular, the vaquita, the world's smallest porpoise species, has suffered disproportionately from the resurgence of totoaba poaching. A reclusive and shy animal, the vaquita have suffered substantial losses at the hands of totoaba poachers, declining from 567 individuals in 1997 to an estimated 26 by May 2017. North Korea employs a global array of overseas networks to circumvent international sanctions and continue its pursuit of nuclear weapons. These networks are engaged in schemes as diverse as cybercrime, military equipment sales, currency counterfeiting, narcotics, and even wildlife trafficking. They make up a complex overseas financing and procurement system designed to raise the funds and materials North Korea needs for its regime security and weapons programs. As sanctions have tightened, these networks have grown increasingly important to the regime. 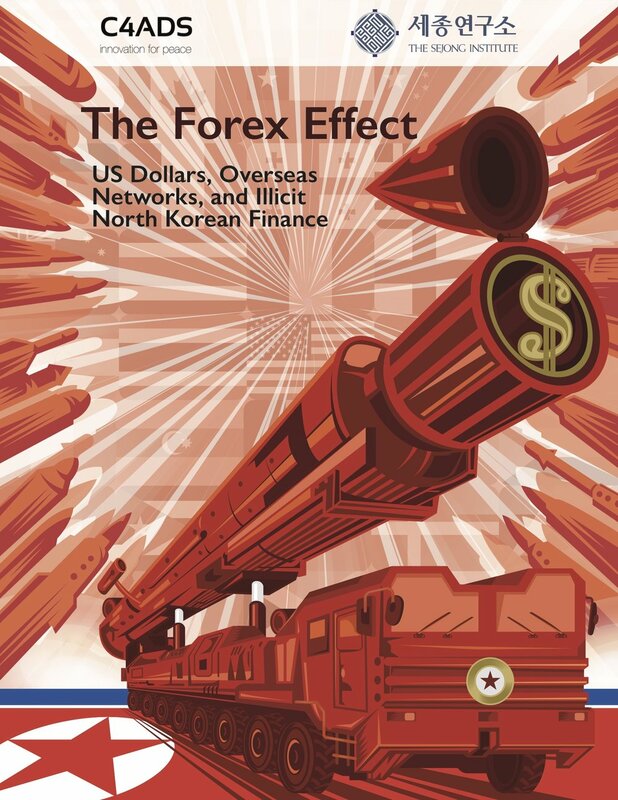 Moreover, they illustrate how North Korean officials have gained a deep understanding of international trade, finance, and transportation and how to nest their illicit activities within them. In this report, we conduct a system-level examination of the North Korean overseas financing and procurement system. Our paper finds that this system is centralized, limited, and vulnerable, and that its disruption should greatly increase the pressure on the Kim regime to return to the negotiating table. Environmental crime is estimated to be worth between $91 and $251 billion, with wildlife crime making up $7 to $23 billion of the total, and is currently estimated to be growing at two to three times the speed of the global economy. Over the past few years, myriad studies and reports have examined the economic and environmental devastation wreaked by wildlife crime, as well as its intertwining links to transnational criminal networks. Few studies, however, have focused on the transport systems used by wildlife traffickers, despite the large benefits that traffickers have gained from the increasing interconnectedness of global infrastructure and transport systems. Flying Under the Radar examines wildlife trafficking through the air transport sector, and is designed to support law enforcement and the private sector's efforts to stem the hidden flow of illegal wildlife through their jurisdictions and supply chains. North Korea’s overseas trading networks are evolving, and Pyongyang’s expansive business dealings with China, its biggest trading partner, are driving changes in the character, scope, and methods of these networks. As a result of these changes, North Korea and the entire Northeast Asian region face greater instability as regime elites in Pyongyang become increasingly willing and able to procure the strategic resources they need for regime security and weapons development. Conditions for Muslims have steadily declined in Myanmar, with the Rohingya Muslims of Rakhine State facing the gravest threat. In 2012, the country was rocked by the worst sectarian violence in over 50 years, resulting in 200 killed and 140,000 displaced, mostly Rohingya. A 2015 study by the United States Holocaust Museum counted 19 early warning signs of genocide in Myanmar since the start of sectarian violence. Another study by the International State Crime Initiative concluded that the Rohingyas had already passed the first four stages of genocide, including dehumanization and segregation, and are now on the verge of mass annihilation. Anti-Muslim sentiment has grown so widespread that even Nobel Peace Prize laureate Aung San Suu Kyi’s National League for Democracy (NLD) party declined to field a single Muslim among their roster of 1,100 candidates for the November 2015 elections. South Sudan was born amid great hope. The citizens of the world’s newest nation voted with one voice in support of independence for a country that boasted vast natural wealth. Goodwill from the international community brought significant international development assistance and the country was expected to quickly transition to self reliance, for the most part, on the basis of its own oil revenues. Instead, South Sudan has plunged into civil war, economic collapse, and creeping international isolation. The country’s elites have built a kleptocratic regime that controls all sectors of the economy, and have squandered a historic chance for the development of a functional state. These predatory economic networks play a central role in the current civil war, because much of the conflict is driven by elites attempting to re-negotiate their share of the politico-economic power balance through violence. The recognition of wildlife crime as a global transnational crime threat has taken on new urgency since President Obama’s 2013 Executive Order on Combating Wildlife Trafficking. Meanwhile, private transportation logistics and financial services companies have independently expressed concern due to their potential exposure to wildlife and environmental transnational organized crime (TOC) activity, and also a desire to take action. A key impediment to addressing their concerns has been a lack of information on both the types of supply chain abuse that may occur and the types of wildlife criminal networks that may be operating. Such information may help refine and strengthen compliance controls to ensure that funds and services reach their intended beneficiaries. Global environmental crime is estimated by the United Nations to be worth as much as $213 billion annually. Over $23 billion is attributed to the illegal wildlife trade alone, of which ivory is an important component. Across Africa, as much as 5-7% of the elephant population is being slaughtered annually by a wide range of highly militarized actors, closely tied to conflict, organized crime, and political corruption. The price of ivory has skyrocketed from USD $5/kg in 1989 to a wholesale price of USD $2,100/kg in China in 2014, with retail prices much higher. To achieve this value, a trafficking organization must source, consolidate, transport, and sell ivory along an extremely long and complex supply chain that crosses borders and oceans and travels from the remotest corners of Africa thousands of miles to retail markets in Asia. Elephant ivory poaching is no longer solely a conservation issue. As poaching reaches levels that threaten to render African elephants close to extinction within the next ten years, it also find a wide range of destabilizing actors across Africa, with significant implications for human conflict. A single elephant yields 10kg of ivory, worth approximately $30,000; and conservative estimates suggest that 23,000 elephants were killed in 2013. With the true figure likely much higher, the ivory trade could be worth as much as a billion dollars annually, and will likely increase with the escalating retail price of ivory. This report provides 7 detailed country case studies of how these profits empower a wide range of African conflict actors. A network of Ukraine-based individuals and logistics companies - referred to herein as the "Odessa Network" due to its key leadership being located in Odessa, Ukraine - is responsible for transporting weapons out of Russia and Ukraine on behalf of government sellers. Evidence suggests that some of these companies may transport weapons to the Assad regime in Syria, among other notorious violators of human rights. As Mali recovers from the conflict and stability is restored, the country faces a new set of challenges compounding upon those existing before the crisis. This guide aims to improve the understanding of the complex factors that led to the multiform crisis and to facilitate the efforts by international organizations, humanitarian and development workers, and the business community to reengage a post-conflict Mali. The global fight against privacy in Somalia has centered on prosecuting pirates and mobilizing naval forces. But, according to a new World Bank study, to get to the root cause of the problem the international community must focus on helping the nation build a functional political system. "Piracy is a symptom of the breakdown of Somalia's political system," says Quy-Toan Do, a senior economist in the Bank's research department and lead author of the report. "Go after the system, not just the pirates." C4ADS analyzed the illicit charcoal trade between Somalia and the UAE to make inferences about patterns of criminal activity that help fund the al-Shabaab insurgents. With Palantir software, we were able to map networks of maritime shell companies and international organizations who are, knowingly or unknowingly, likely enablers of conflict in Somalia.